Musty smells and humidity can cause a variety of problems, if left unchecked. The buildup of moisture can cause damage to furniture, clothes, shoes and furniture, and even make the air unpleasant to breath. 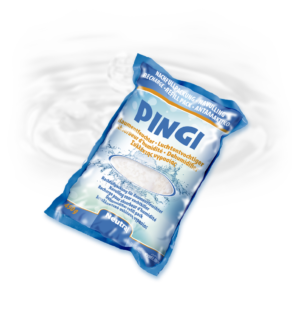 PINGI Profi-Dry® is an effective tool for eliminating excess humidity in areas that aren’t ventilated regularly, such as basements, guestrooms, bathrooms, closets, and kitchens or nearly any other unventilated area. 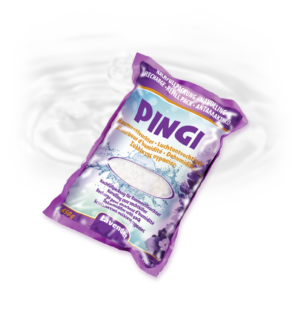 Comes with one pack of humidity absorbent material (neutral). Providing sufficient air circulation in spaces that don’t have natural ventilation can be quite a hassle, especially if you don’t use the area every day. Over time, humidity from the surroundings can build up in such places, and cause the air to become musty and stale. 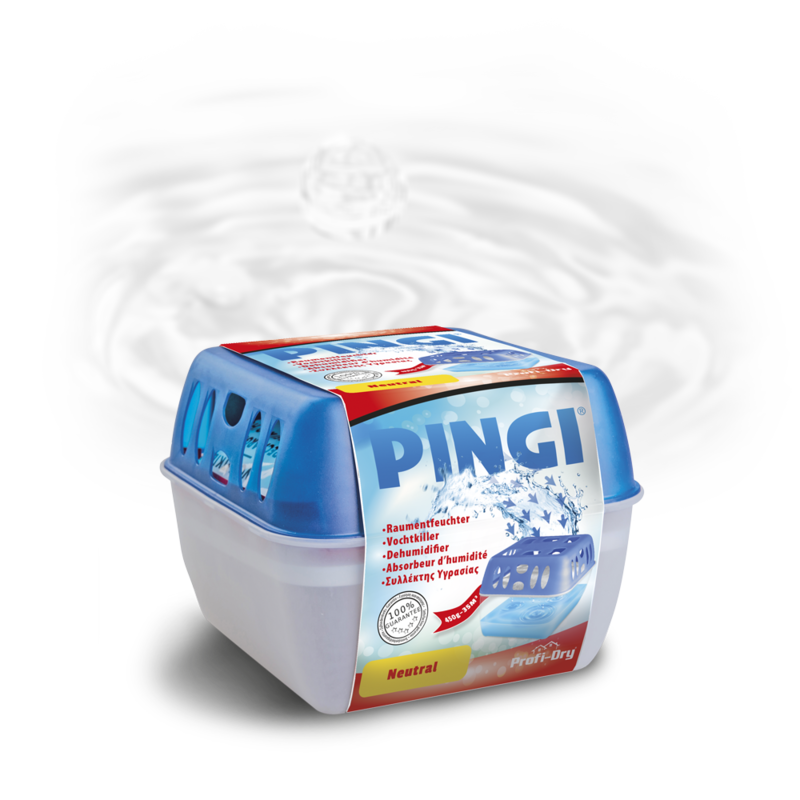 Profi-Dry utilizes PINGI’s quality dehumidifying technology, absorbs and retains all excess moisture for you to discard later. The active crystals of Profi-Dry are enclosed in a convenient filter bag, attracting humidity and converting moisture into a clear liquid. The liquid is stored in a container, which can easily be emptied when full. This way, you don’t have to check regularly, and can rest assured that problems caused by high humidity levels are being handled. Once set, the Profi-Dry immediately starts working, eliminating excess moisture. Each refill will keep humidity levels in balance for 8 to 12 weeks!